Congratulations to the JA Golf Team for winning the North AAA Championship with a team score of 301, winning by a combined 33 strokes. Wilson Furr was the medalist with a 4 under par 68. Jack Gnam and Conner Beth Ball both finished second with 75. (Conner Beth won the putt off for second place). “I am particularly proud of the three underclassmen’s performance at North State. These students have worked year round to be able to come out in wet and windy conditions and shoot such great scores,” said Coach Ronnie Rogers. 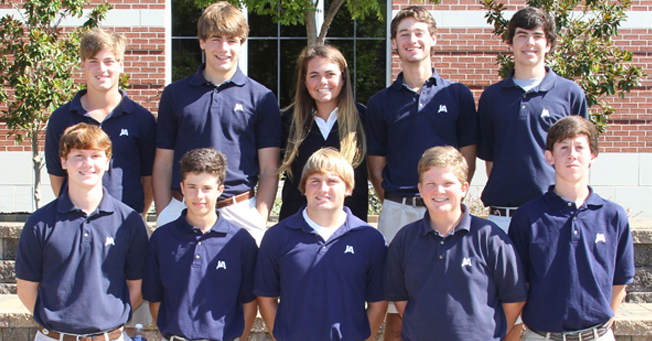 The golf team will advance to the state tournament at Greenwood Country Club next Tuesday.